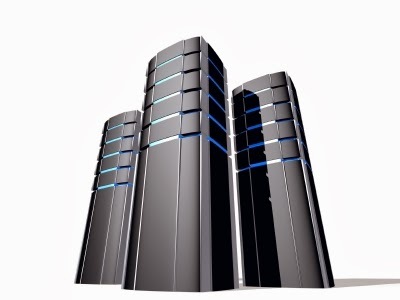 What matters when choosing a hosting? 1. To be in the country where you have most visitors. People know something about scripts that run. There are many companies that support WordPress, for example, it's good to know and it helps much an admin who knows where to look when the server stop load suddenly. 2. To be flexible . I know that one with " were on vacation and you could not pay for hosting? ah , we 've deleted site " ? Miracles like this always happens in one form or another. 3. If you want to do business no matter how small the blog hosting you can not leave to chance. You need to know a little about what you need , a little bit about load balancing, a bit about plugins , a bit about plugins sending emails , a little about DNS hosting. 4. The cheapest hosting is usually cheap for a reason good enough . Does not help anything to have 1,000 people a day if you're on a server with another 400 other sites and takes two minutes to load a page. You have to think very seriously about this! Hosting is perhaps one of the most important elements of a website invisible : you need a stable hosting service for your website should always be available to those who want to visit it , to be fast ( so users Google despise and slow sites ) and, of course , be advantageous price . But before you choose your hosting is important to check carefully that offers , because you risk being fooled. - Do not have a traffic limit ( bandwidth ) . Most hosting services have this limit the Romanian 's suicide : a limitation of bandwidth means there 's a risk that your ull website once it becomes popular ( has more traffic , and therefore higher transfer ) to be closed the company providing hosting or need to pay more . No sense to limit such nonsense , especially when there are dozens of hosting services that have unlimited bandwidth . - Have a limited disk space . A site normally should not have problems with space (unless you upload movies, games or music ) but that does not mean that space should be unlimited . In norman rarely disk space will be a problem, but you must ensure that you both will be . - Do not be limited by sub . Although you start with just one site , you may realize that you need more . Will have an idea more you want to launch a project. So , steer you towards a hosting service that offers unlimited subdomains . - To have guarantee 99.9 % uptime . Since it is vital that your website will be online all the time. - Be quick . Typically , the higher the price of hosting is less , the more it will slow loading site , which means penalty from Google . Speed ​​is reduced for those who offer hosting site will squeeze more sites on the same server to cover costs. So , cheaper is not necessarily better !